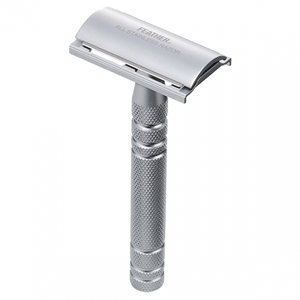 Feather Stainless Steel Double Edge Razor: All stainless steel razor! Exquisite quality and craftsmanship. Save money on double edge blades! No more expensive “multi-blade” cartridges. Includes 5 Hi-Stainless Steel Blades.